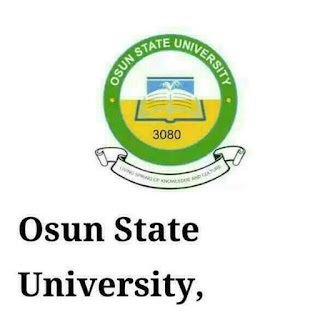 The Osun State University, Osogbo Physiology MCQs Past Questions And Answers. 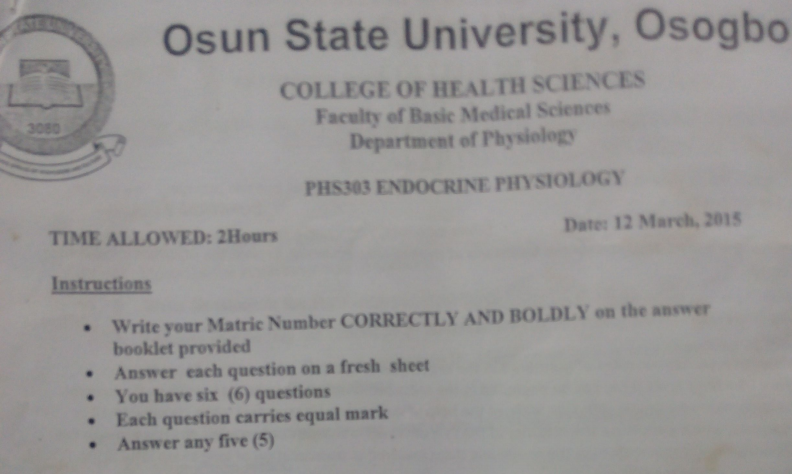 This is an original piece of the Physiology MCQs Past Questions of Osun State University from 2008 - 2018. These are updated questions issued to students. 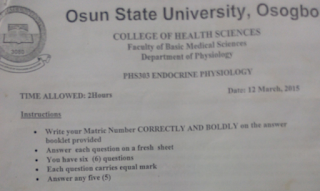 We have solved these questions as they have been repeated severally, you may work on them to aid your accuracy in solving other related Physiology MCQs Past Questions And Answers administerd to students in the COLLEGE OF HEALTH SCIENCES, OSOGBO. Why You Need This PAST QUESTIONS. - It gives you an insight of what to expect in the actual examination. - 80% of questions contained therein are usually repeated by College of Health Sciences, Osogbo. - You will easily recall answers to questions if you see them in the exam hall thereby saving you time for other tougher questions. Always Visit My9jaedu.Com For All School Gists, PastQuestions, Scholarship Updates. A. The entry and exit valves of the ventricle are closed. B. Pressure in the aorta rises. C. Pressure in the atria falls. D. Left coronary blood flow falls. E. The rate of rise in pressure is greater in the right than in the left ventricle. A. True – Hence no blood leaves the ventricles. B. False – Pressure in the aorta falls as run-off of blood to the tissues continues. C. False – It rises as ventricular pressure causes the AV valves to bulge into the atria. D. True – The blood vessels are squeezed by the contracting myocardium. E. False – The greater force of contraction in the left ventricle gives a greater rate of rise of pressure. • Hematocrit or packed cell volume (Hct/PCV) is the volume occupied by red cells after blood is centrifuged at a high speed. Use The Comment Box If you Need the full Past Questions, We will immediately send it to you E-Mail. We will provide a PDF format download soon.